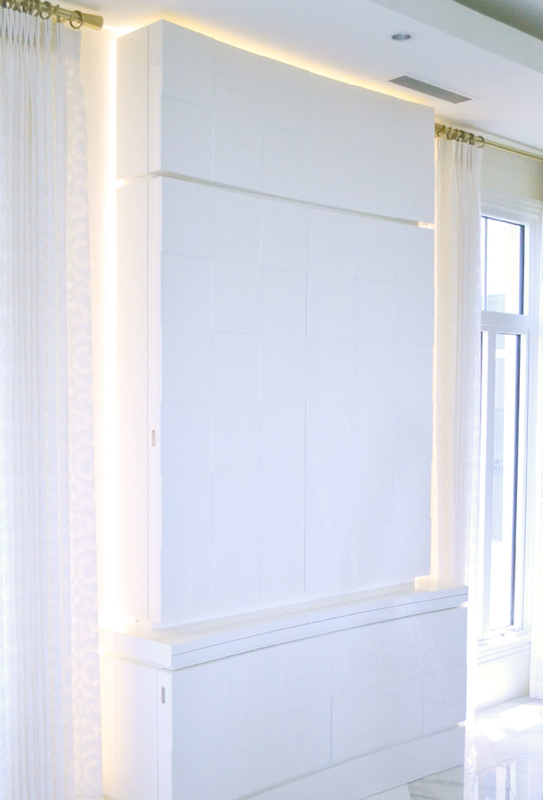 Mirrored Closet – Dannecker Inc. Objective: Build hall closet for storage space in keeping with bright and light interior. For this custom Rosemary home, we combined aesthetically-pleasing mirrored surfaces to maximize full-wall height storage space. Complete access to upper cabinets was accomplished by installing a rolling library-style ladder.